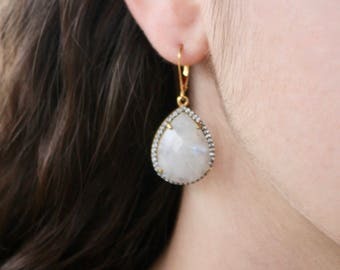 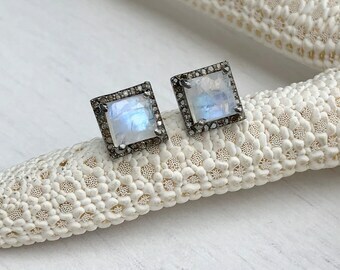 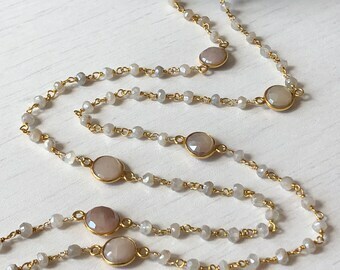 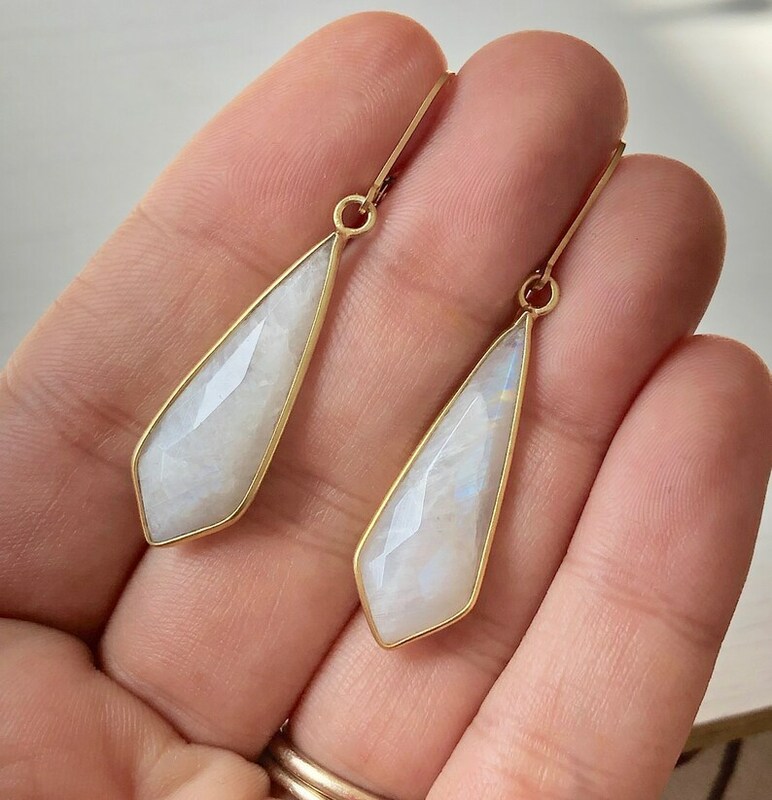 White Moonstone Drop Earrings edged or bezeled in 14k Gold Filled. 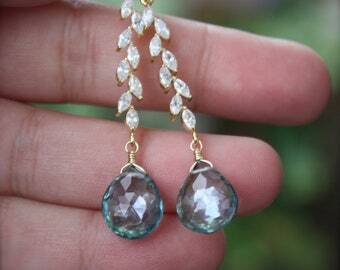 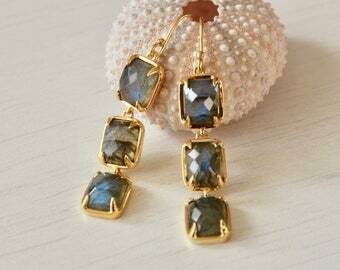 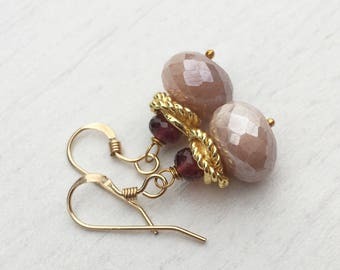 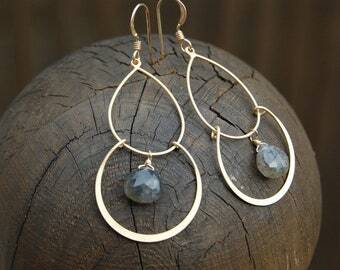 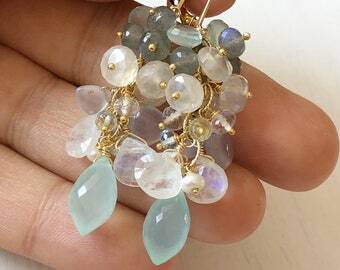 The earrings are suspended from 14k gold filled lever back ear wires. 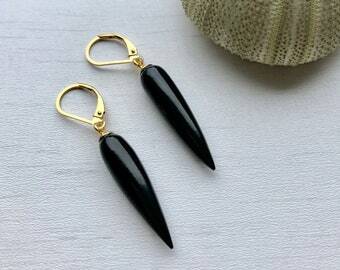 Pointy Arrow Head Shape measures 35mm and the total length of the earrings is 40mm from the top of the ear wire. 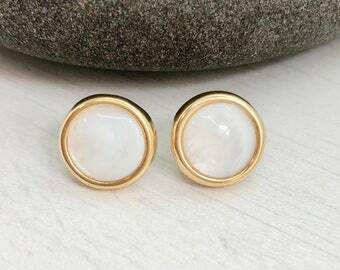 Simple white earrings that can be worn casually or on dressy occasions.